Steiff Arco Polar Bear is made in beautiful soft white plush. Arco carries the yellow tag, which signifies it as a Steiff classic edition and wears the famous brass plated Steiff button in ear. 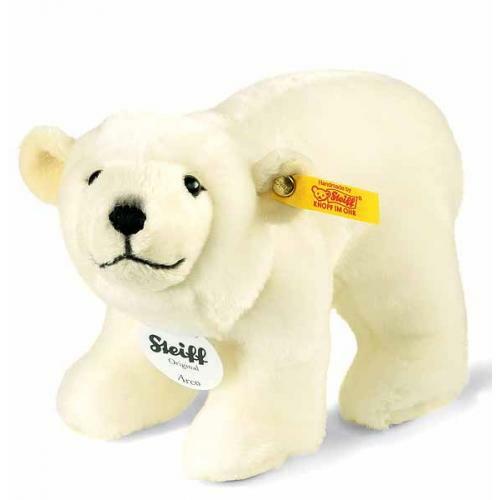 This wonderful Steiff piece is soft and standing, machine washable, and the size is listed as 18cm in length.